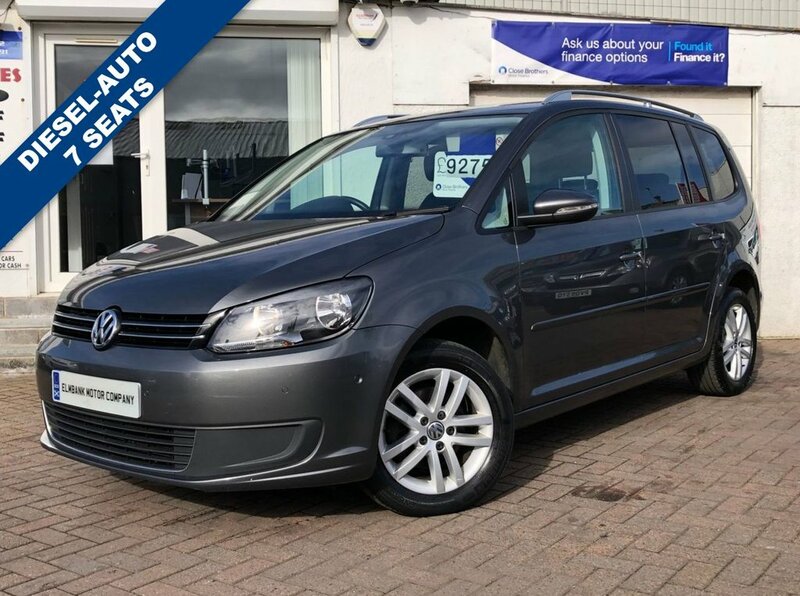 2014 64 VOLKSWAGEN TOURAN 1.6 SE TDI BLUEMOTION AUTOMATIC DSG. A VERY WELL PRESENTED FAMILY 7 SEATER ON OFFER, EXCELLENT CONDITION THROUGHOUT AND NICE SPECIFICATION. ON BOARD SPEC INCLUDING ALLOY WHEELS, FRONT AND REAR PARK ASSIST, REAR PRIVACY GLASS, REAR FOLDING TRAYS, VEHICLE SELF PARK AND FULL ELECTRIC PACK. WE WELCOME ANY AA OR RAC INSPECTION AND CAN OFFER BESPOKE FINANCE PACKAGES. TO ARRANGE A VIEWING OR TEST DRIVE PLEASE CALL ELMBANK MOTOR COMPANY AYR ON 01292 292991.